This is a very easy and inexpensive meal… but delicious! 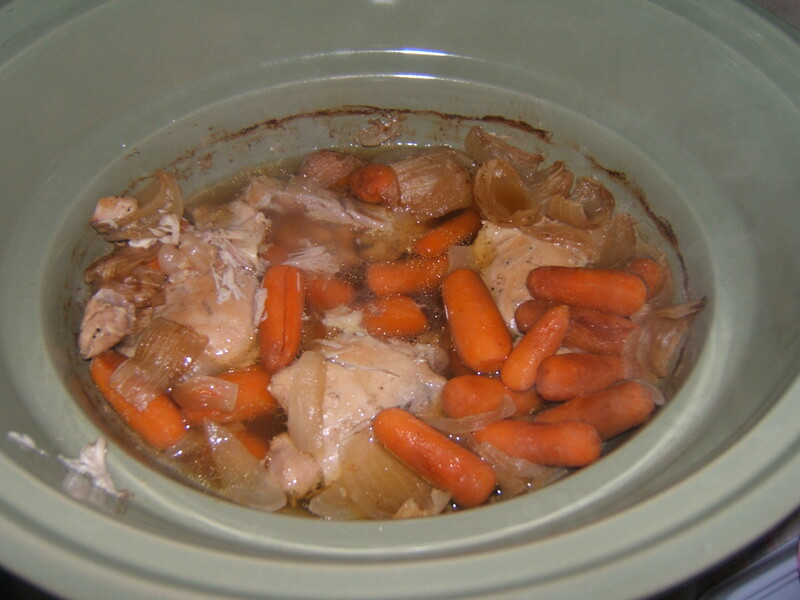 Place chicken thighs in crockpot and top with pepper, carrots and onions. Combine boiling water and chicken bouillon until dessolved; Pour over chicken.